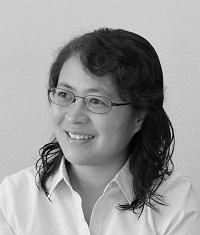 Stella Yu received her doctorate degree from the School of Computer Science at Carnegie Mellon University, where she studied robotics at the Robotics Institute and vision science at the Center for the Neural Basis of Cognition. She continued her computer vision research as a postdoctoral fellow at UC Berkeley, and then studied art and vision as a Clare Booth Luce Professor at Boston College, during which she received an NSF CAREER award. Dr. Yu joined the International Computer Science Institute (ICSI) as a senior research scientist in 2012 and began leading the Vision Group in 2015. She became a Senior Fellow at the Berkeley Institute for Data Science (BIDS) at UC Berkeley in 2016. Dr. Yu is on the faculty of the Computer Science Department and the Vision Science Program at UC Berkeley, and she is also affiliated faculty with the Department of Computer and Information Science at the University of Pennsylvania. Dr. Yu is interested in understanding visual perception from multiple perspectives: human vision, computer vision, robotic vision, and artistic vision. Visit Stella Yu's Web site.